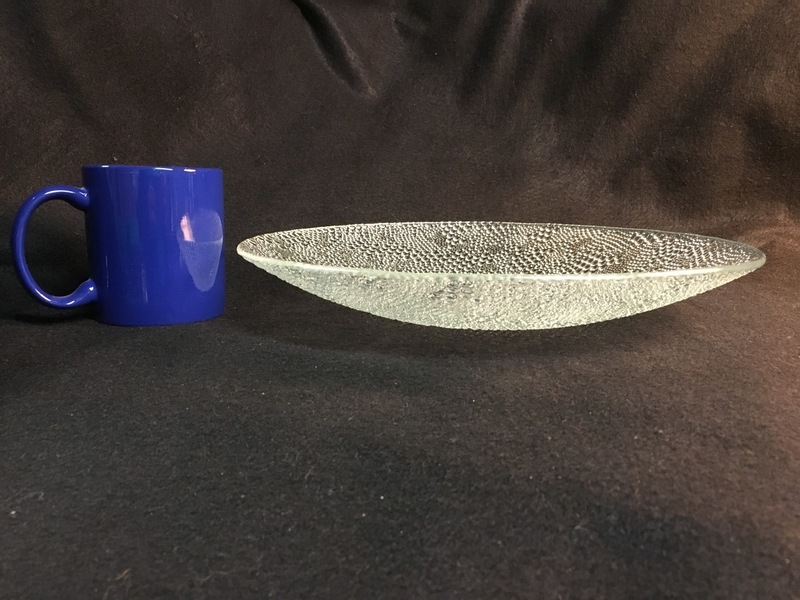 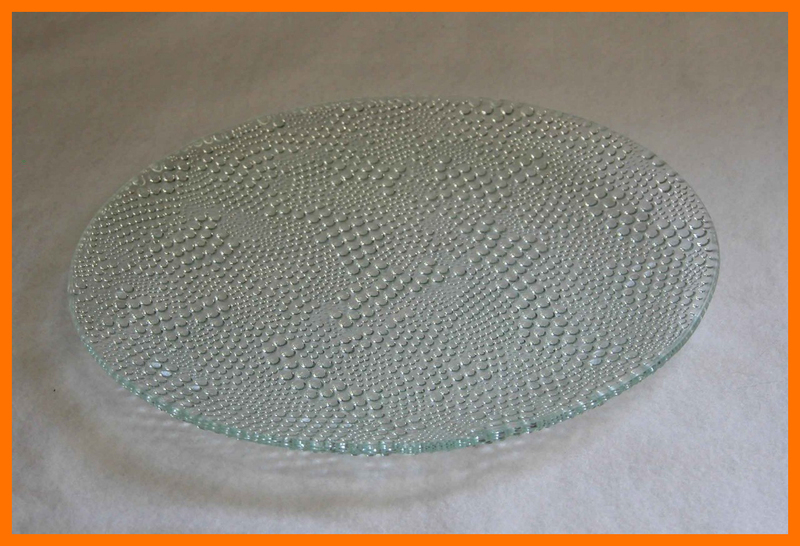 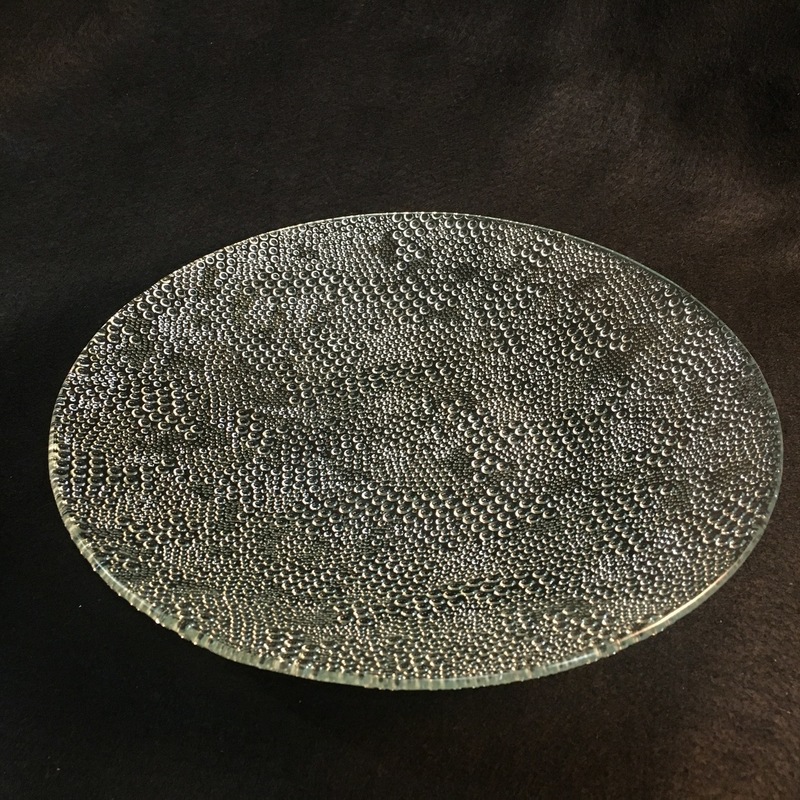 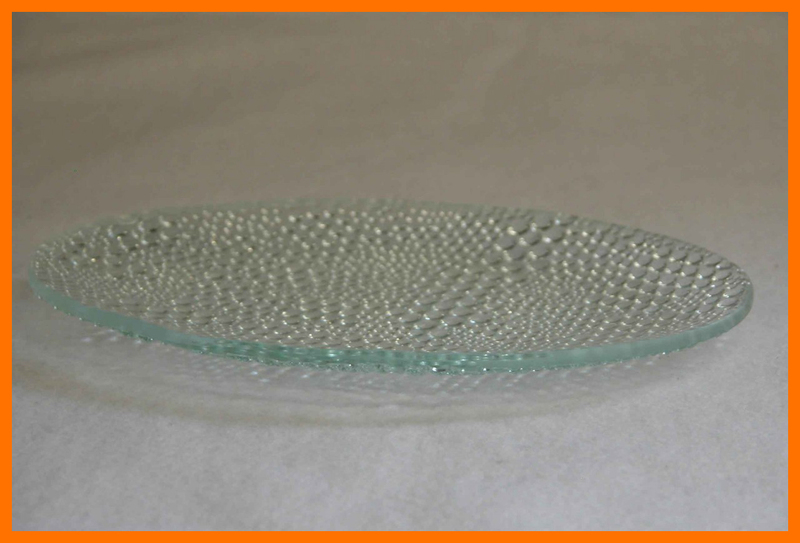 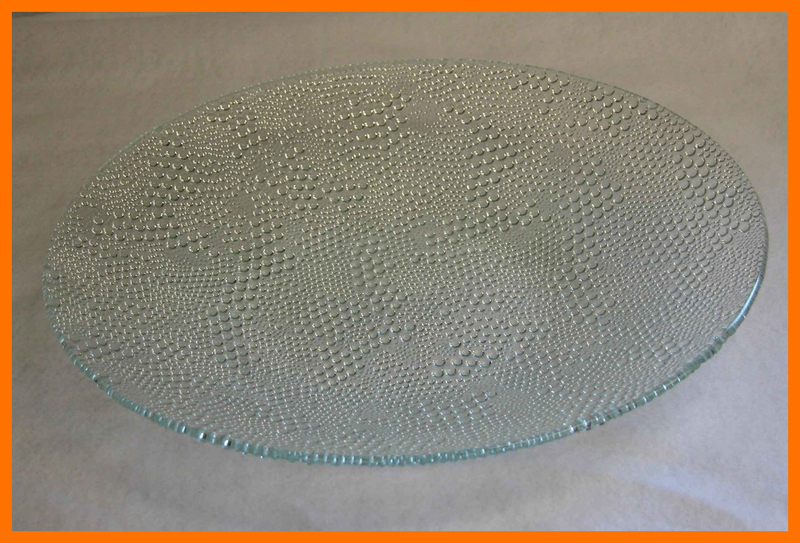 A textured glass bowl with a delicate fused rain drop design. 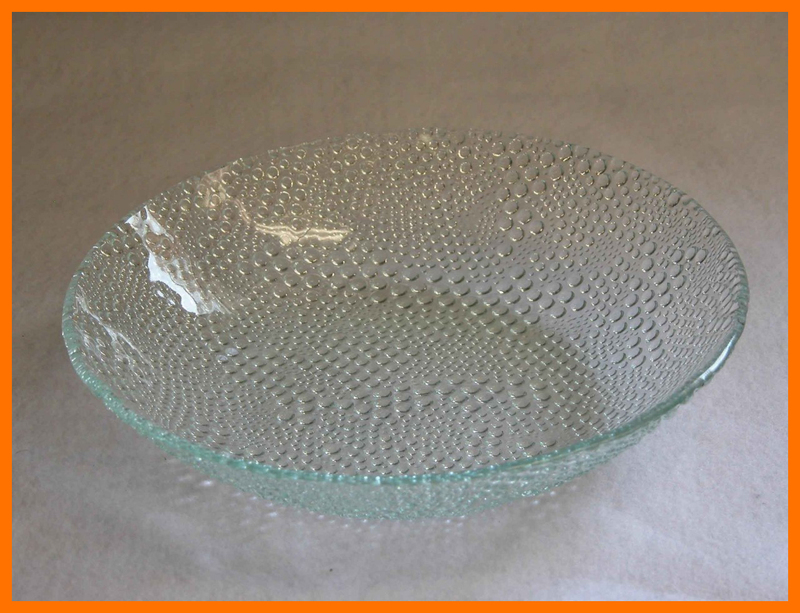 Approximate bowl size: 13" diameter x 1 3/8” deep. 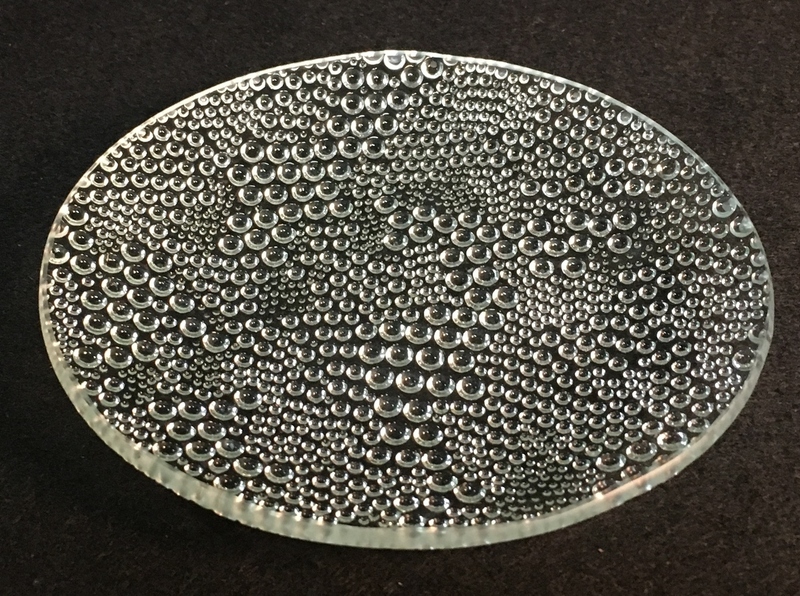 The rain drop texture is on the bottom side of the bowl. 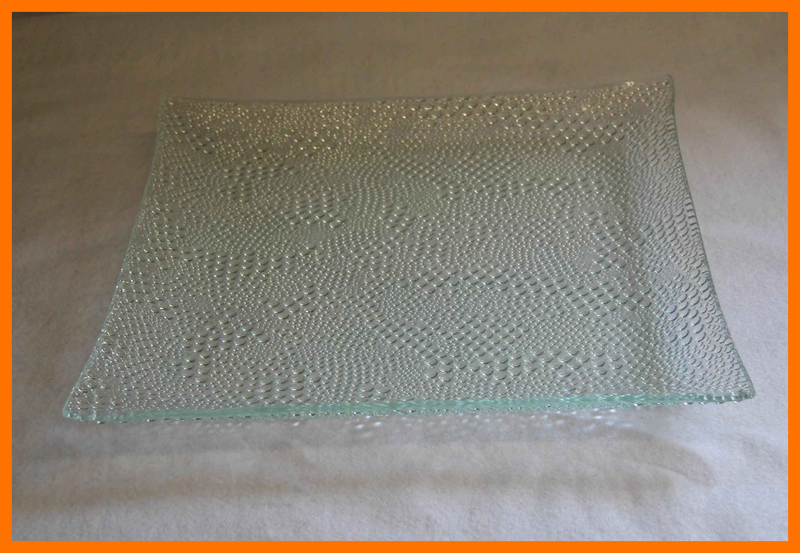 A smooth and silky eating surface on the top or inside. 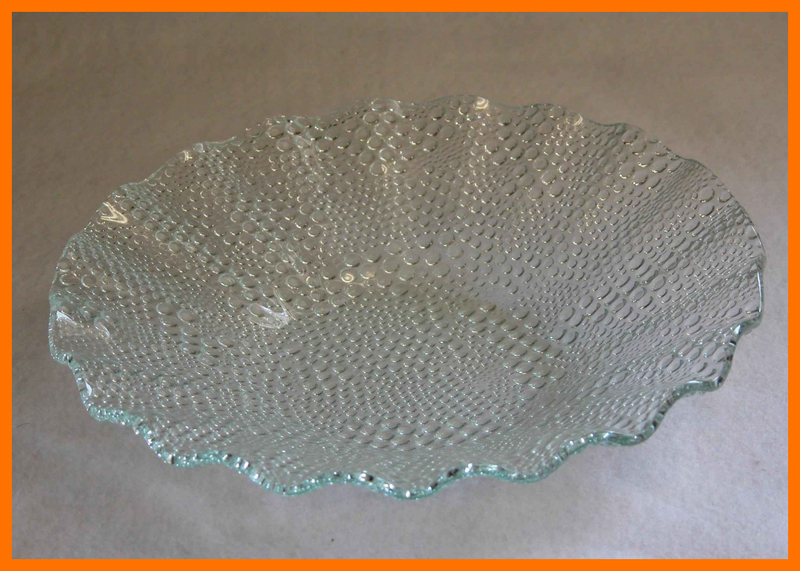 This elegant bowl will enhance your table and serving needs.